Death, taxes and a shooter atop the chart of Xbox Live's top activity. Since Major Nelson has publicized the numbers, the most popular game on Xbox Live—this is according to unique users playing the game while logging into the service, not just those playing multiplayer—has always been a shooter. Gears of War. Halo. And, for more than two years running, something from the Call of Duty series. 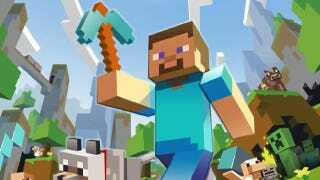 That came to an end this past week, when Minecraft's Xbox 360 edition emerged as the most played game on the Xbox 360. Back in May, the title—a console adaptation of the PC game, sold over Xbox Live Marketplace, now—finally broke Call of Duty's stranglehold on the top two of Xbox Live's most active chart, something not even FIFA, the world's most popular sports video game, could do. In the week of Oct 15, Minecraft took No. 1. There's a story-within-a-story here, as Major Nelson, who reports these figures, does not release them every week. Sometimes the charts just aren't that interesting week to week. Others could assume that a game with a heavy multiplayer component that flops might not want to be embarrassed by a post on an official Microsoft site. So when Major Nelson does put out these figures, it's for a reason, even if it's not fully stated. Minecraft going to No. 1 is, frankly, historic, and not just because it isn't a shooter. It's a downloadable title. And even if Mojang is a zillion-dollar enterprise, this still is considered an indie game. An indie game that knocked Call of Duty from its No. 1 perch, two weeks before its next game comes out.